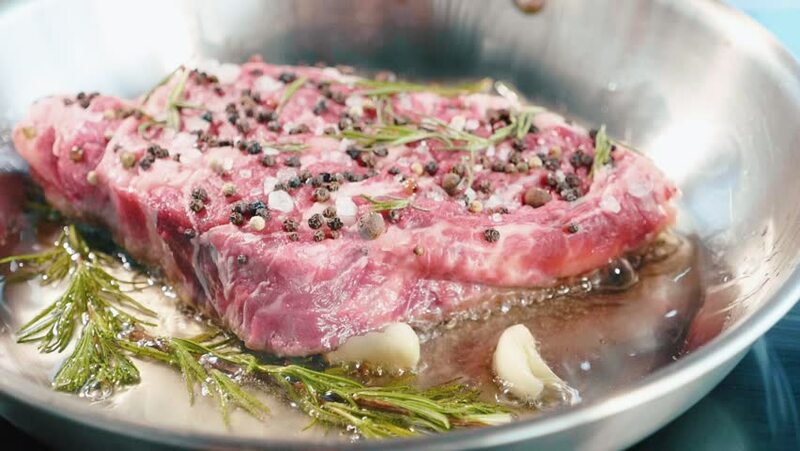 Meat steak with seasonings and herbs hissing on frying pan, close-up in slow motion. Red meat cooking in steel pan. 4k00:08Meat steak with seasonings and herbs hissing on frying pan, close-up. Red meat cooking in steel pan. hd00:25slide across a plate with lamb chops as Chef pours sauce on plate. Final touch.